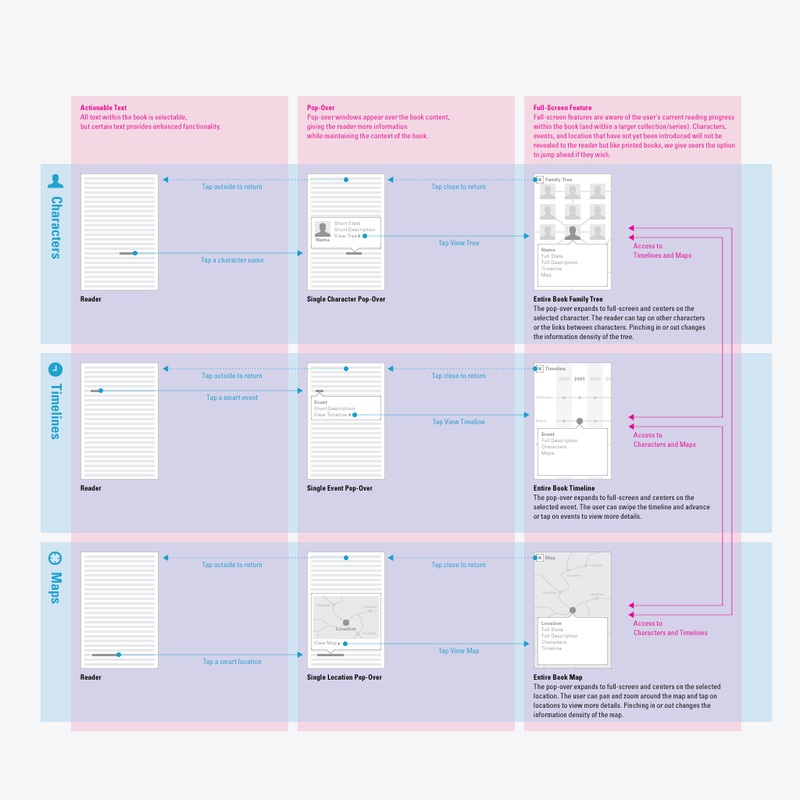 This prototype suggests how readers might access supplemental information in a book through different frames: related characters, timeline, location. A model below provides an overview of the interaction. 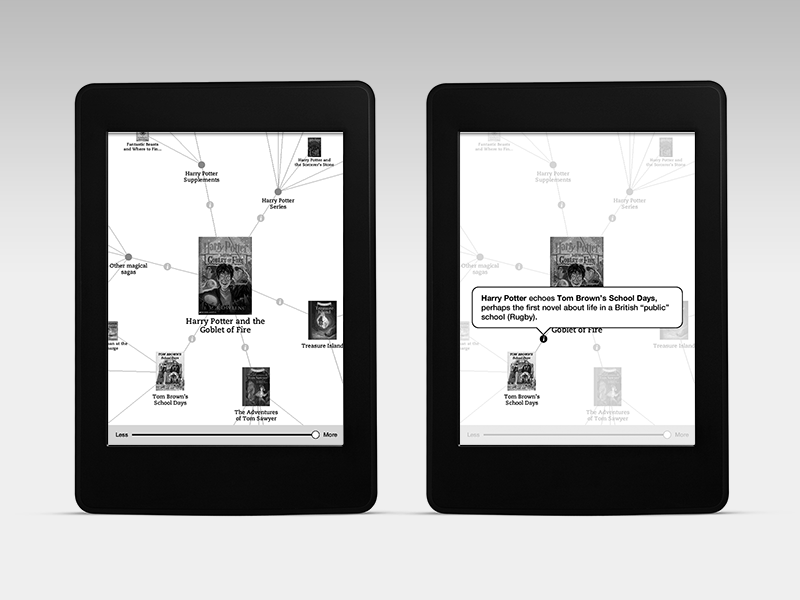 An overview of an interactive ebook version in the Harry Potter series. The horizontal (blue) rows represent different views. The vertical (pink) columns contain UI elements. Moving from left to right, the user is presented with more information. 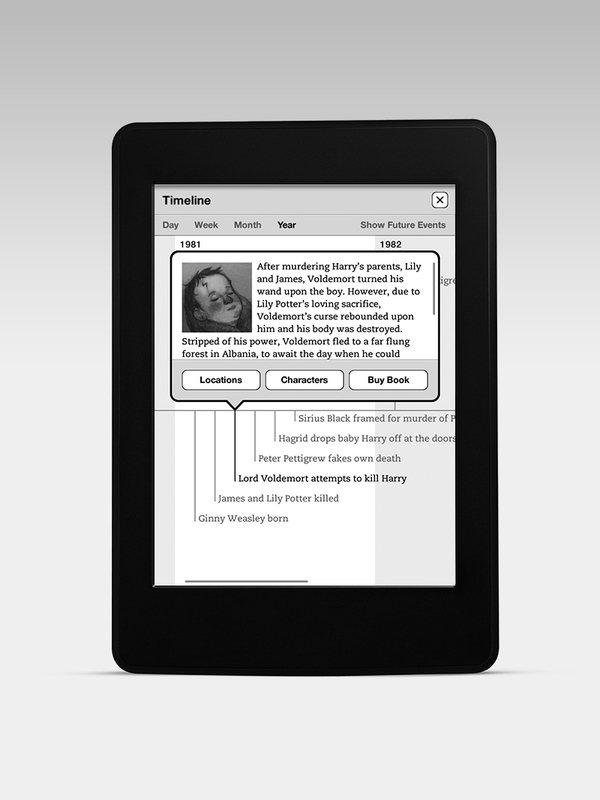 Interactive ebook platforms will emerge that will allow readers to find related books and content. The prototype below suggests a fish-eye browser—a web of related content that encourages exploration.